Warren Buffett’s Berkshire Hathaway raised its stake in Goldman Sachs by 21% to 13.2 million shares during the second quarter. Berkshire’s initial position in the Wall Street bank stemmed from an investment during the financial crisis. Warren Buffett added to his stockpile of Goldman Sachs shares during the second quarter. 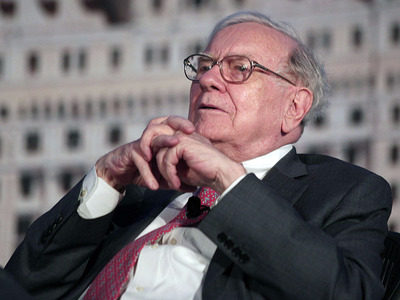 The investing legend’s Berkshire Hathaway upped its stake in the investment bank by 21% to 13.2 million shares, according to a regulatory filing out Tuesday. It’s total position in the firm is now worth more than $US3 billion, assuming it has not sold any shares during Q3. Berkshire’s position in Goldman began in the wake of the financial crisis when it invested $US5 billion in preferred stock that paid a 10% dividend and were callable at any time at a 10% premium. It also received warrants to purchase up to $US5 billion of Goldman common stock with a $US115 strike price. In October of 2013, Berkshire received a handsome payday from the bank after exercising the warrants it bought during the financial crisis. The bank paid the conglomerate $US2 billion in cash and gave it 13.1 million shares of stock. The 13-F released on Tuesday showed Berkshire raised its stake in Apple by 5% to 251 million shares. That stake is now worth $US46.6 billion after Apple’s market cap crossed the $US1 trillion mark on August 3. Berkshire also upped its stakes in Southwest Airlines and Delta Air Lines by 19% apiece while trimming its stake in American Airlines by 3%.